The 6 Assassins strat is a very popular playstyle currently. Although it got a nerf with the April 5th update, you’ll find atleast one or two players trying to run this strat in your games. In this article, you will find complete information on how the strat came into existence, how to execute the 6 Assassins strat, and the best counters against it. These buffs proved to be very good for Assassins and many players started running the 9 Assassins strat. This was before Sand King, Riki and Slark were removed from the game. Conclusion: The total % chance to crit was increased by a significant amount for 3 Assassins and 6 Assassins. Although it was lowered a bit for 9 Assassins, the amount was negligible. Hence Assassins got a buff for all the stages of the game. That combined with the minor buffs that PA, Morphling and Sand King got, made them not just viable, but also very strong. Riki, Sand King and Slark are removed from chess pool temporarily and will come back later after adjustment. 3 Assassins: 15% chance to crit for 350% damage. Conclusion: The total % chance to crit was increased from 27.75% to 32% for 6 Assassins. Moreover, the crit damage was increased to 350% for 3 Assassins, and 450% for 6 Assassins. Individually these buffs don’t seem so big, but the combined effect of both these buffs is mind-blowing. The best players quickly grasped these facts, and made a new strat to run 6 Assassins with the highest efficiency. This strat spread like wildfire to such an extent that it almost broke the game. Another update was released yesterday, and surprisingly, Assassins only got a minor nerf. Moreover, TA received a small buff. BH’s base attack time increased by 0.1. Note: Base attack time was mistranslated as attack speed in the original update notes. Before talking about the nerf, let’s get a proper understanding of ‘base attack time’ or BAT. BAT refers to the default interval between attacks for an unbuffed unit with no attack speed bonus. 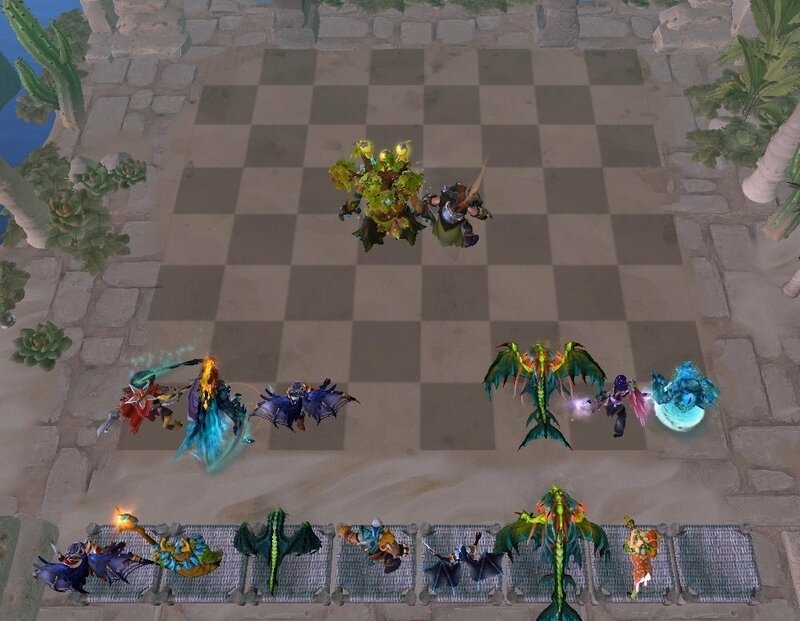 For example, a melee creep from round 1/2/3 of Auto Chess has a BAT of 1.00 seconds, and thus attacks once every second by default. Similarly, if a hero with 1.7 BAT had no bonus attack speed, they would attack once every 1.70 seconds. Also, units will lower BAT, benefit more from attack speed items. Now about the nerf, the 6 Assassins bonus was changed to how it was before the March 29th update. So, the total chance to crit was effectively changed from 32% to 27.75%. In my opinion, this isn’t the biggest nerf. The amount of damage that crits do is still the same. And that’s all the changes Assassins went through recently. Now it’s time to share the complete details on how the strat works and how to run it effectively. There was another change made on the March 15th update which buffed the Assassins. I’ve described it in the second point of the counters section. 1) Play the game as you normally would, with the exception that you buy every Assassin unit you find on your selection panel. 2) Buy every Treant Protector and Lone Druid you can, without sacrificing too much. Buying every Assassin is the number 1 priority. The final line-up will be Treant Protector, Lone Druid and 6 Assassins. Reason for this is explained on point number 7. 3) If you are going on a win-streak that’s great news, but if you are losing matches very frequently, just try to maintain a losing streak. This strat can work from behind as well. Keep in mind however, that if you are running your Assassin units on the board while on a losing streak, you might accidentally win a game against relatively weak opponents if you get good of an RNG on your crits. The % chance of getting $3 gold units drops from 30% to 25% if you level up from 8 to 9. 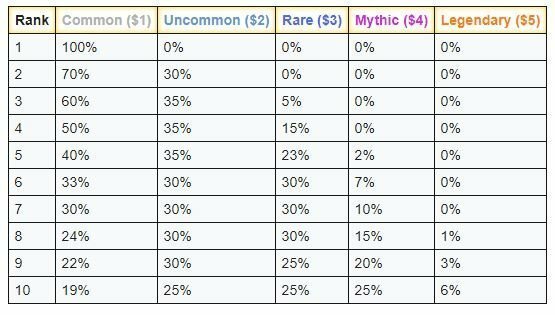 The % chance of getting $4 units increases, but the only $4 Assassin is TA, and getting a 3* TA is extremely hard and expensive. Here’s an image of % chances to get units at different levels. The premise is to try and get as many 3* Assassins as possible and level 8 provides the best % chances for it. It also lets you run just enough units to play 6 Assassins, because you can have 2 tanks. 5) After getting to level 8, start re-rolling non-stop for Assassins and LD+Treant. Ofcourse you will have to buy the other Druids in order to get your LD and Treant to 3*, but sell them as soon as you have applied the synergy. 6) After getting 2* on all Assassins, you might have to sell some Assassins on your bench to make space for better Assassins while going 3*. Here’s the priority: PA>QoP>Morphling>Viper>Bounty. 3* TA is stronger than all the other Assassins but it is excruciatingly hard to make. I suggest you don’t even attempt going for it unless you are high-rolling TAs like a God. Treant provides 3 Elf synergy with TA and PA. Moreover, he is an insane tank and easy to go 3* since he’s a Druid. Lone Druid is one of the best units in the game and is also relatively easy to go 3* because he’s a Druid. The main reason is because he is essentially 2 tanks in 1 unit, because of his summon, the Spirit Bear. Here’s how your board should look. In best case scenario, you’d want to have as many 3* units as possible. 8) Pray to the gods of RNG. Although the % chance to crit is really high, sometimes you might get extremely unlucky and just lose. Here’s a replay of a Queen player running the 6 Assassins strat. This will give you the complete picture on how the strat is supposed to be played. Check out point number 12 in this article, to know exactly how Knight shields work. The Knights shield is the only reliable way to get enough armor to sustain the insane damage of Assassins. However, 6 Knights has always been one of the hardest synergies to build because it requires a lot of expensive/rare units. Although the gold costs of Assassin units and Knight units is exactly the same, you generally do not want to re-roll a lot while playing Knights. 6 Knights by themselves will not be able to defend against the Assassins strat. You will need to get to higher levels (10 or atleast 9) to get enough units to fight back against the 6 Assassins strat. Because of this change, your units will start hopping towards the enemies before the enemy Assassin units do. Due to this, your formation will be ruined, allowing a few Assassins to jump into the backlines and slice-up your Mages in 1-2 hits. This is why you need good crowd-control to stun the Assassins, long enough for your Mages to charge up their mana and explode the entire enemy line-up. Also, you will need a 2* Tidehunter and a 2* Medusa for this to work because 1* units will get blown up within a second. The 6/9 Elves synergy works wonders against the Assassins strat. But the major problem here is that Elves start falling off quite hard in the late-game. You might be able to defend against the player running Assassins, but the rest of the players will start hurting your courier a lot. Hence this strat is not really viable most of the time. Any decent synergy will work against 6 Assassins as long as you have a high amount of 3* units and/or multiple 2* legendary units. I highly recommend you to try the 6 Assassins’ strat if you haven’t done it before. You can easily win matches with this strat unless your opponents are high-rolling or if there’s too many players going for Assassins. If you spot any mistake or if you think I missed out on some important information, please feel free to comment below. I write about Auto Chess, Dota 2, Esports and Gaming in general. I’d love it if you followed me on Twitter and Facebook . Thanks for reading.